Players switching agents generally creates only a tiny ripple of interest for fans, if that. They likely change agents or acquire new management more often than we realize, and when they do, it may not change the course of their career. DeMarcus Cousins, the most talented young big man in the NBA, changed agents yesterday shortly after hearing that he'd been suspended indefinitely for "cursing extensively" at head coach Keith Smart during halftime of the Kings game against the Clippers. This time the switch—from John Greig to Dan Fegan—matters, perhaps even in the very short term. Tom Ziller explains that Dan Fegan represents two players that had known problems with the Kings: Kevin Martin and Ricky Rubio. In both cases, Fegan ran afoul of Kings general manager Geoff Petrie. The Fegan-Petrie enmity dates back to the 2009 NBA draft at least, when the Kings were the sole team granted the privilege of a workout with Ricky Rubio and passed on him for Evans, despite assurances from Fegan that Rubio would forgo his final year in Spain if selected by the Kings. Martin's situation was less complex: The Kings attempted to make a Tyreke Evans/Kevin Martin backcourt work, and when it inevitably didn't (that's one of the shooting-ist shooting guards in the league paired with a point guard whose assist and turnover ratios are far too close for comfort), Fegan leaned on the Kings to make a trade in a way that didn't sit well with Petrie. Fegan is one of the most powerful agents in the NBA, and his most recent high-profile situation is the very sort of scenario the Kings – and every other team, for that matter – would like to avoid. Fegan was instrumental in Dwight Howard's exodus from Orlando to the Lakers last summer, having presented the Magic with a list of teams (Brooklyn, Dallas, and the Lakers) to which Howard was willing to re-sign if traded. Fegan's last extensive dealings with the Kings were in 2009, and they were far from positive for either side. 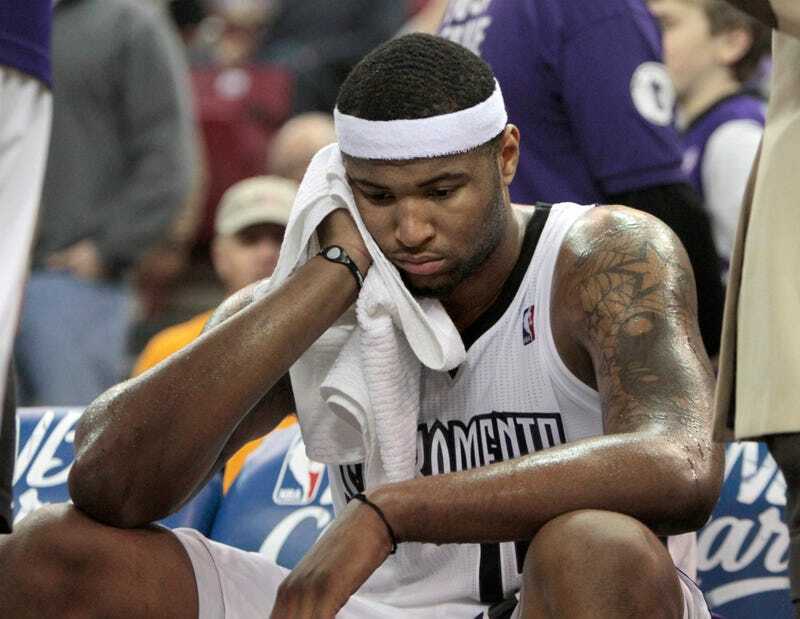 So: The Kings suspended DeMarcus Cousins for conduct detrimental to the team, and he was mostly apologetic. A few hours later, he hired an agent who doesn't get along with his GM, has experience extracting players from bad situations—bad situations in Sacramento—and pulled the strings during another talented young big man's long, exhaustng trade saga when Dwight Howard said he wanted out of Orlando. Cousins may just be preparing for his impending free agency, but in Fegan, he essentially hired a transition team.